Bouquet with 11 stems of white Peruvian Lilies. 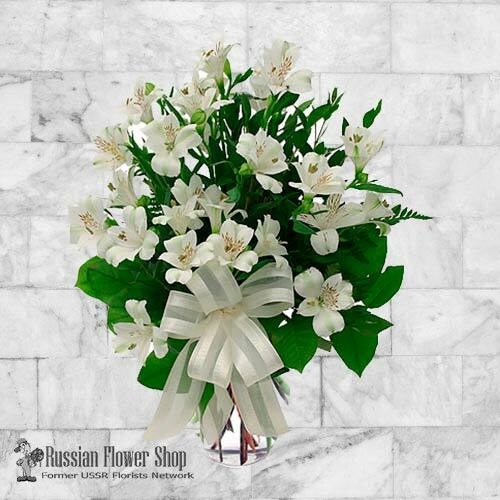 Tasteful arrangement of all-white Peruvian Lilies (alstroemerias) with greens and matching white bow. A welcome sympathy gift to let them know your thoughts are with them at this time.